Ladies And Gentlemen, Our Future Rock Queen! Move over, Slash. Zoe’s about to take the world by storm! 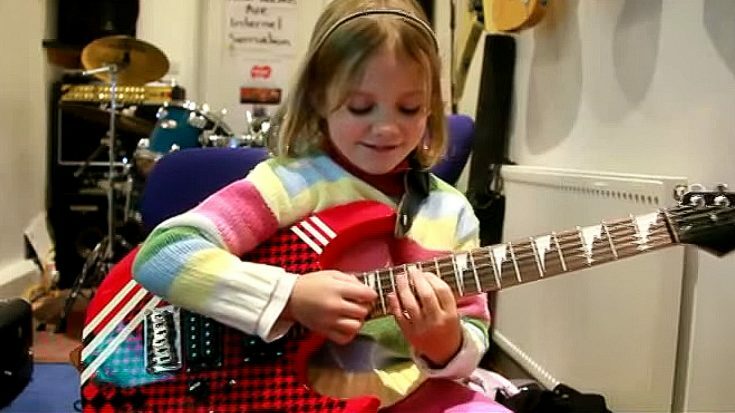 This 7-year old (now 10) already knows how to rip the guitar. Yes, sir. At her age, I was probably still playing in the mud. But this adorable kid has the rock world buzzing because of her musical chops. In case you had any doubt, Zoe is so good even Slash was left speechless after he saw her video, courtesy of Mountain legend Leslie West! So even the legendary Guns ‘n Roses guitarist joined Zoe’s fan club. She is THAT good. Zoe started playing the guitar when she was still five and her passion has paid off. She makes it look effortless. It’s so cute and cool. Everyone has to start somewhere and I can’t wait to see Zoe’s progress in 10 years. She’ll be unbeatable by then. Keep on rockin’, little axe slinger!